1005.03 Designation "college" or "university". 1005.05 Certificate and diploma programs. 1005.06 Institutions not under the jurisdiction or purview of the commission. 1005.07 Patient safety instructional requirements. The Legislature encourages privately supported higher education and intends to aid in protecting the health, education, and welfare of persons who receive educational services from independent postsecondary educational institutions in this state; to aid in protecting employers and others who depend upon people whose educational credentials are from independent postsecondary educational institutions in this state; and to aid in protecting independent postsecondary educational institutions that currently operate or intend to begin operating in this state. The Legislature finds that both individuals and independent postsecondary educational institutions benefit from a state system that assures that all institutions satisfactorily meet minimum educational standards. The Legislature further recognizes the role of federally recognized accrediting associations in setting standards for independent postsecondary educational institutions and encourages the use of recognized accreditation standards as general guidelines for the licensure of independent postsecondary educational institutions. The Legislature recognizes that a degree, diploma, or other educational credential serves several purposes. Employers rely upon a person's educational credentials in judging that person's qualifications for employment. Educators rely upon a person's educational credentials to assess the adequacy of that person's preparation for the pursuit of further education. Therefore, the Legislature intends that the provisions of this chapter aid in protecting the integrity of degrees, diplomas, and other educational credentials offered by independent postsecondary educational institutions by providing for the evaluation of minimum educational requirements. The Legislature intends to prohibit the granting of false or misleading educational credentials and to prohibit misleading literature, advertising, solicitation, or representations by independent postsecondary educational institutions or their agents. "Accreditation" means accredited status awarded to an institution by an accrediting agency or association that is recognized by the United States Department of Education and that has standards comparable to the minimum standards required to operate an educational institution at that level in this state. "Agent" means a person who is employed by an independent postsecondary educational institution under the jurisdiction of the Commission for Independent Education, or by an out-of-state independent postsecondary educational institution, and who secures an application or accepts payment of fees from prospective students for the institution at any place other than the legal place of business of the institution. Prior to enrollment, provide to each enrollee, and maintain a record copy of, a written statement that includes the following or substantially similar language: "This program is not designed or intended to qualify its participants and graduates for employment. It is intended solely for the avocation, personal enrichment, and enjoyment of its participants." Not make any other verbal or written statement that negates the required written statement by stating or implying that people who enroll in or complete the program have a more substantial likelihood of obtaining employment in the field to which the training pertains than people who do not. "College" or "university" means any incorporated postsecondary educational entity, and its additional locations, offering a substantially complete program that confers or offers to confer at least an associate degree requiring at least 15 semester hours or the equivalent of general education, or that furnishes or offers to furnish instruction leading toward, or prerequisite to, college credit. The terms include any college-credit-granting independent educational institution that is chartered in this state and any center or branch campus within this state of an out-of-state institution at the college-credit level. "Commission" means the Commission for Independent Education. "Contract training" means instruction or training provided through a written contract with an independent contractor whose fees and any other charges are entirely paid by a company, trade or professional association, or group of employers to provide the instruction exclusively to bona fide employees of the entity that engaged the contractor. The term applies only when those receiving training are selected by their employer and are not recruited by the contractor. "Degree" means any educational credential that is generally taken to signify satisfactory completion of the requirements of an undergraduate, graduate, academic, educational, or professional program of study or any honorary credential conferred for meritorious recognition. At the undergraduate level, an institution may not award a degree for a program unless it includes a general education component as established by rule and at least 60 semester hours or 90 quarter hours of study or the equivalent. "Diploma" means a credential that is not a degree but is any of the following: a certificate, transcript, report, document, or title; a designation, mark, or appellation; or a series of letters, numbers, or words that generally are taken to signify satisfactory completion of the requirements of an educational or career program of study or training or course of study. "Examination preparation course" means a course or program that does not offer to confer a diploma, that is offered by a person or entity that discloses in all advertising that the course or program is for test preparation, and that does not include any expression or implication in writing or orally regarding salaries, job placement, or career advancement. "Governmental" means an institution provided, operated, and supported by a federal, state, or county government or any of its political subdivisions. "Independent postsecondary educational institution" means any postsecondary educational institution that operates in this state or makes application to operate in this state, and is not provided, operated, and supported by the State of Florida, its political subdivisions, or the Federal Government. A person or entity offering only continuing education programs to persons who engage in an occupation or profession whose practitioners are subject to licensure, certification, or registration by a state agency that recognizes the programs for continuing education purposes and provides a written statement of the recognition. "License" means a certificate signifying that an independent postsecondary educational institution meets standards prescribed in statute or rule and is permitted to operate in this state. By any means or device, facilitating in this state any part of a scheme to offer a degree, diploma, or credit, or any activity connected with the administration, promotion, recruitment, placement, instruction, fee collection or receipt, or any other function of a purported independent postsecondary educational institution, other than periodic and customary contact with the institution's own alumni. "Out-of-state college" or "out-of-state school" means any independent postsecondary educational institution where the place of instruction, the legal place of residence, or the place of evaluation of instruction or work by correspondence or distance education is not within the legal boundaries of this state. Offers to award or awards a diploma, regardless of whether it conducts instruction or receives remuneration. History.--s. 245, ch. 2002-387; s. 97, ch. 2004-357. A Florida or out-of-state college that has been in active operation and using the designation "college" or "university" since April 1, 1970. A college for which the commission has issued a license pursuant to the provisions of this chapter. A college that is under the jurisdiction of the Division of Colleges and Universities of the Department of Education, whose students are eligible for the William L. Boyd, IV, Florida Resident Access Grant, and that is a nonprofit independent college or university located and chartered in this state and accredited by the Commission on Colleges of the Southern Association of Colleges and Schools to grant baccalaureate degrees. A college that meets the description of either s. 1005.06(1)(e) or (f). If a college is approved under subsection (1) to use the designation "college" or "university," a branch or extension of that college may use the name of the parent college, but shall include an indication of the location of the branch or extension. Any entity offering postsecondary educational courses or programs of study in Florida, whether or not college credit is awarded, shall be subject to the provisions of this section. An entity shall not use the designation "college" or "university" in its name in Florida without approval by the commission, unless the commission determines that its name is clearly and accurately descriptive of the services provided by the entity and is not one that may mislead the public. Publish and follow procedures for handling student complaints, disciplinary actions, and appeals. In addition, institutions that are required to be licensed by the commission shall disclose to prospective students that additional information regarding the institution may be obtained by contacting the Commission for Independent Education, Department of Education, Tallahassee. No nonpublic college shall continue to conduct or begin to conduct any diploma program as defined in s. 1005.02, unless the college applies for and obtains approval for such program. Colleges under the jurisdiction of the Commission for Independent Education shall apply to the commission. Colleges that are not under the jurisdiction of the commission shall apply to the Department of Education. Any postsecondary educational institution provided, operated, or supported by this state, its political subdivisions, or the Federal Government. Any college, school, or course licensed or approved for establishment and operation under part I of chapter 464, chapter 466, or chapter 475, or any other chapter of the Florida Statutes requiring licensing or approval as defined in this chapter. Any institution that is under the jurisdiction of the Division of Colleges and Universities of the Department of Education, whose students are eligible for the William L. Boyd, IV, Florida Resident Access Grant, and that is a nonprofit independent college or university located and chartered in this state and accredited by the Commission on Colleges of the Southern Association of Colleges and Schools to grant baccalaureate degrees. Any institution that offers only avocational programs or courses, examination preparation programs or courses, contract training programs or courses, continuing education, or professional development programs or courses. Any institution that was exempt from licensure in 2001 under s. 246.085(1)(b), Florida Statutes 2001, as long as it maintains these qualifying criteria: the institution is incorporated in this state, the institution's credits or degrees are accepted for credit by at least three colleges that are fully accredited by an agency recognized by the United States Department of Education, the institution was exempt under that category prior to July 1, 1982, and the institution does not enroll any students who receive state or federal financial aid for education. Such an institution shall notify the commission and apply for licensure if it no longer meets these criteria. The name of the institution includes a religious modifier or the name of a religious patriarch, saint, person, or symbol of the church. The institution offers only educational programs that prepare students for religious vocations as ministers, professionals, or laypersons in the categories of ministry, counseling, theology, education, administration, music, fine arts, media communications, or social work. The titles of degrees issued by the institution cannot be confused with secular degree titles. For this purpose, each degree title must include a religious modifier that immediately precedes, or is included within, any of the following degrees: Associate of Arts, Associate of Science, Bachelor of Arts, Bachelor of Science, Master of Arts, Master of Science, Doctor of Philosophy, and Doctor of Education. The religious modifier must be placed on the title line of the degree, on the transcript, and whenever the title of the degree appears in official school documents or publications. The duration of all degree programs offered by the institution is consistent with the standards of the commission. The institution's consumer practices are consistent with those required by s. 1005.04. The commission may provide such a religious institution a letter stating that the institution has met the requirements of state law and is not subject to governmental oversight. Any institution that is regulated by the Federal Aviation Administration, another agency of the Federal Government, or an agency of the state whose regulatory laws are similar in nature and purpose to those of the commission and require minimum educational standards, for at least curriculum, instructors, and academic progress and provide protection against fraudulent, deceptive, and substandard education practices. The Department of Education may contract with the Commission on Independent Education to provide services for independent postsecondary educational institutions not under the jurisdiction of the commission relating to licensure of postsecondary career certificate and diploma programs that such institutions may wish to offer and preliminary review of programs such institutions may wish to offer which are beyond the scope of the institutions' current accreditation status. Upon completion of its review, the commission shall forward its recommendation to the department for final action. The department shall assess the institution seeking such services the cost to the commission of providing such services. Revenues collected pursuant to this provision shall be deposited in the Institutional Assessment Trust Fund. History.--s. 249, ch. 2002-387; s. 98, ch. 2004-357. Each private school, college, and university that offers degrees in medicine, nursing, and allied health shall include in the curricula applicable to such degrees material on patient safety, including patient safety improvement. Materials shall include, but need not be limited to, effective communication and teamwork; epidemiology of patient injuries and medical errors; medical injuries; vigilance, attention, and fatigue; checklists and inspections; automation, technological, and computer support; psychological factors in human error; and reporting systems. 1005.21 Commission for Independent Education. 1005.22 Powers and duties of commission. There is established in the Department of Education the Commission for Independent Education. The department shall serve as the administrative agent of the commission by providing services, including payroll, procurement, and legal counsel. The commission shall exercise independently all powers, duties, and functions prescribed by law. The commission shall authorize the granting of diplomas and degrees by any independent postsecondary educational institution under its jurisdiction. Two representatives of independent colleges or universities licensed by the commission. Two representatives of independent, nondegree-granting schools licensed by the commission. One member from a public school district or community college who is an administrator of career education. One representative of a college that meets the criteria of s. 1005.06(1)(f). One lay member who is not affiliated with an independent postsecondary educational institution. The members of the commission shall be appointed to 3-year terms and until their successors are appointed and qualified. If a vacancy on the commission occurs before the expiration of a term, the Governor shall appoint a successor to serve the unexpired portion of the term. The commission shall meet at least four times each fiscal year. Members of the commission are entitled to reimbursement for travel and per diem expenses, as provided in s. 112.061, while performing their duties. Each member is accountable to the Governor for the proper performance of the duties of his or her office. The Governor may remove from office any member for cause. History.--s. 251, ch. 2002-387; s. 99, ch. 2004-357. Hold meetings as necessary to administer its duties. Annually select a chairperson and a vice chairperson, appoint and review an executive director, and authorize the executive director to appoint employees of the commission. Adopt and use an official seal in the authentication of its acts. Make rules for its own governance. The commission shall adopt rules pursuant to ss. 120.536(1) and 120.54 for the operation and establishment of independent postsecondary educational institutions. The commission shall submit the rules to the State Board of Education for approval or disapproval. If the state board does not act on a rule within 60 days after receiving it, the rule shall be filed immediately with the Department of State. The commission shall submit an annual budget to the State Board of Education. The commission shall transmit all fees, donations, and other receipts of money to the Institutional Assessment Trust Fund. The commission shall expend funds as necessary to assist in the application and enforcement of its powers and duties. The Chief Financial Officer shall pay out all moneys and funds as directed under this chapter upon vouchers approved by the Department of Education for all lawful purposes necessary to administering this chapter. The commission shall make annual reports to the State Board of Education showing in detail amounts received and all expenditures. The commission shall include in its annual report to the State Board of Education a statement of its major activities during the period covered by the report. Maintain a record of its proceedings. Cooperate with other state and federal agencies and other nongovernmental agencies in administering its duties. Cause to be investigated criminal justice information, as defined in s. 943.045, for each owner, administrator, and agent employed by an institution applying for licensure from the commission. Serve as a central agency for collecting and distributing current information regarding institutions licensed by the commission. Inform independent postsecondary educational institutions of laws adopted by the Legislature and rules adopted by the State Board of Education and the commission and of their responsibility to follow those laws and rules. Establish and publicize the procedures for receiving and responding to complaints from students, faculty, and others concerning institutions or programs under the purview of the commission, and keep records of such complaints in order to determine the frequency and nature of complaints with respect to specific institutions of higher education. Provide annually to the Office of Student Financial Assistance of the Department of Education information and documentation that can be used to determine an institution's eligibility to participate in state student financial assistance programs. Coordinate and convey annual reports to the Commissioner of Education relating to campus crime statistics, the assessment of physical plant safety, and the antihazing policies of nonpublic postsecondary educational institutions eligible to receive state-funded student assistance, as required by law. Identify and report to the Office of Student Financial Assistance the accrediting associations recognized by the United States Department of Education which have standards that are comparable to the minimum standards required to operate an institution at that level in this state. Assure that an institution is not required to operate without a current license because of the schedule of commission meetings or application procedures, if the institution has met the commission's requirements for licensure or license renewal. Enter into contracts with the Federal Government, with other departments of the state, or with individuals. Receive bequests and gifts, subject to any restrictions upon which the commission and the donor agree. Appoint standing or special committees to assist it in carrying out its responsibilities. Committees may include members who are not commission members or representatives of licensed postsecondary institutions. Advise the Governor, the Legislature, the State Board of Education, the Council for Education Policy Research and Improvement, and the Commissioner of Education on issues relating to private postsecondary education. Delegate to the chairperson of the commission the responsibility for signing final orders. Assist independent postsecondary educational institutions in formulating articulation agreements with public and other independent institutions. Establish and operate additional offices in the central and southern part of the state if the concentration of licensed institutions renders such an office economically feasible. Establish and administer the Student Protection Fund pursuant to s. 1005.37. 1005.32 Licensure by means of accreditation. 1005.33 License period and renewal. 1005.34 Fair consumer practices; condition of operation. 1005.38 Actions against a licensee and other penalties. 1005.39 Continuing education and training for administrators and faculty. Each college or school operating within this state must obtain licensure from the commission unless the institution is not under the commission's purview or jurisdiction as provided in s. 1005.06. The commission shall develop minimum standards by which to evaluate institutions for licensure. These standards must include at least the institution's name, financial stability, purpose, administrative organization, admissions and recruitment, educational programs and curricula, retention, completion, career placement, faculty, learning resources, student personnel services, physical plant and facilities, publications, and disclosure statements about the status of the institution with respect to professional certification and licensure. The commission may adopt rules to ensure that institutions licensed under this section meet these standards in ways that are appropriate to achieve the stated intent of this chapter, including provisions for nontraditional or distance education programs and delivery. The commission shall recognize an institution based on the institution's highest educational offering and shall adopt rules for licensure that include reporting requirements for each level of licensure. Approved-applicant status shall be extended to all institutions that have submitted a complete application, as defined in rule, for provisional licensure and paid all attendant fees. In granting approved-applicant status, the commission shall provide to commission staff and the institution a list of specific omissions or deficiencies. Institutions granted approved-applicant status may not advertise, offer programs of study, collect tuition or fees, or engage in any other activities not specifically approved by the commission. If the commission, or the commission staff if specifically directed by the commission, determines that the omissions or deficiencies have been provided for or corrected, the institution may be awarded a provisional license. Provisional licensure shall be granted to an applicant for initial licensure for a period not to exceed 1 year when the commission determines that the applicant is in substantial compliance with the standards for licensure. A provisional license granted for initial licensure may be extended for up to 1 additional year. A licensed institution that has undergone a substantive change, as defined by rule, must be granted a provisional license for a period of time determined by the commission, after which period the institution may apply for a different status. A provisional license may include conditions required by the commission, and all conditions must be met before the institution may receive a different licensure status. An annual license shall be granted to an institution holding a provisional license, or seeking a renewal of an annual license, upon demonstrating full compliance with licensure standards. An annual license may be extended for up to 1 year if the institution meets the requirements set by rule for such an extension. An institution may not conduct a program unless specific authority is granted in its license. A license granted by the commission is not transferable to another institution or to another agent, and an institution's license does not transfer when the institution's ownership changes. A licensed institution must notify the commission prior to a change of ownership or control. The commission shall adopt procedures for interim executive approval of a change of ownership or control if the next scheduled meeting of the commission occurs after the scheduled date of the change of ownership or control. The commission may adopt rules governing changes of ownership or control. An independent postsecondary educational institution or any person acting on behalf of such an institution may not publish any advertisement soliciting students or offering a credential before the institution is duly licensed by the commission or while the institution is under an injunction against operating, soliciting students, or offering an educational credential. The commission shall establish minimum standards for the approval of agents. The commission may adopt rules to ensure that licensed agents meet these standards and uphold the intent of this chapter. An agent may not solicit prospective students in this state for enrollment in any independent postsecondary educational institution under the commission's purview or in any out-of-state independent postsecondary educational institution unless the agent has received a license as prescribed by the commission. 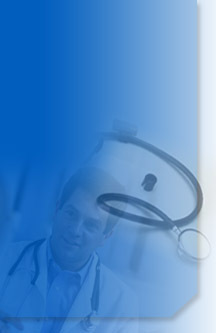 A student of a foreign medical school may not engage in a clinical clerkship in this state unless the foreign medical school has received a license, in the case of a core clerkship or an ongoing regular program of clerkships, or has received individual approval, in the case of an occasional elective clerkship. The commission may adopt rules to administer this subsection. The granting of a license is not an accreditation. As a condition of licensure, an independent college or university must provide the commission with a copy of its antihazing policy. The institution has operated legally in this state for at least 5 consecutive years. The institution holds institutional accreditation by an accrediting agency evaluated and approved by the commission as having standards substantially equivalent to the commission's licensure standards. The institution has no unresolved complaints or actions in the past 12 months. The institution meets minimum requirements for financial responsibility as determined by the commission. The institution is a Florida corporation. An institution that was exempt from licensure in 2001 under s. 246.085(1)(a), Florida Statutes 2001, may retain an exemption until the commission issues it a license by means of accreditation as provided in this section. The commission may not require an institution granted a license by means of accreditation to submit reports that differ from the reports required by its accrediting association, except that each institution must file with the commission an annual audit report and follow the commission's requirements for orderly closing, including provisions for trainout or refunds and arranging for the proper disposition of student and institutional records. An institution granted a license by means of accreditation must apply for and receive another level of licensure before the institution may offer courses or programs that exceed the scope or level of its accreditation. Institutions granted a license by means of accreditation must comply with the standards of fair consumer practices as established in rule by the commission. A license by means of accreditation is valid for the same period as the qualifying grant of accreditation. A license by means of accreditation may be denied, placed on probation, or revoked for repeated failure to comply with the requirements of this section. The commission shall adopt rules for these actions. Revocation or denial of a license by means of accreditation requires that the institution immediately obtain an annual license. As required by rule, the commission shall periodically review each license to determine if the institution is in compliance with this chapter and should have its license renewed. The commission may extend an annual or provisional license if a good faith effort has been made by the institution and agent. The commission shall determine what constitutes compliance or a good faith effort and may adopt rules to administer this section. A licensed independent postsecondary educational institution that seeks to expand or modify its programs or degrees to be conferred or to add new locations must seek prior approval from the commission. The commission shall adopt rules for the approval of modified or additional programs, degrees, and locations. On the effective date of this act, an institution that, in 2002, held the status of "Permission to Operate" under s. 246.093, Florida Statutes 2001, has 90 days to seek and obtain licensure from the commission. Ninety days after this act takes effect, that status no longer authorizes an institution to operate in Florida. The commission shall adopt rules to ensure the protection of students, including rules establishing fair consumer practices pursuant to s. 1005.04. The commission may not grant or renew a license unless the institution seeking the action provides the commission with a sworn statement of compliance with rules regarding fair consumer practices. The commission may examine any complaint against an institution under its jurisdiction and, if the institution is found to be routinely handling these matters correctly, the complaint shall be considered closed. Complaints under this subsection against accredited institutions, if not resolved, shall be forwarded to the accrediting agency for any appropriate action. The institution shall notify the commission of any and all actions taken by the accrediting agency in response to the complaint. Failure to comply with this section is cause for denial or revocation of a license. The Commission for Independent Education shall annually establish a fee schedule to generate, from fees, the amount of revenue appropriated for its operation. The commission shall include, as a part of its legislative budget request, a proposed fee schedule to generate the appropriated fee revenue required in the General Appropriations Act. The commission may adjust the fee amounts to generate the fee revenue required in the General Appropriations Act but may not add fee categories without the Legislature's approval. The fee schedule proposed in the legislative budget request takes effect unless the Legislature requires changes. The commission shall charge each licensed institution a base fee to cover the cost of routine services, such as data collection and dissemination. The base fee may be higher for institutions with a large enrollment but may not exceed one-half of 1 percent of the amount appropriated for the commission. Approval to use the term "college" or "university." Participation in the Student Protection Fund established pursuant to s. 1005.37. Other workload activities as allowed by law. The commission may assess late fees for an institution's failure to timely submit required materials. All fees shall be submitted through the Department of Education to the Chief Financial Officer, to be deposited in the Institutional Assessment Trust Fund. All fees authorized in this section are administrative fees and are not refundable unless paid in error. The commission may deduct from an institution's future fee collection any unintentional overpayment. The Legislature intends to protect students and the independent sector of postsecondary education from the detriment caused by licensed institutions that cease operation without providing for the proper completion of student training or for the appropriate refund of student fees. To serve this intention, the Commission for Independent Education may prevent the operation in this state of a licensed independent postsecondary educational institution by an owner who has unlawfully closed another institution and the commission may exercise control over student records upon closure of a licensed institution if the institution does not provide an orderly closure. At least 30 days prior to closing an institution, its owners, directors, or administrators shall notify the commission in writing of the closure of the institution. The owners, directors, and administrators must organize an orderly closure of the institution, which means at least providing for the completion of training of its students. The commission must approve any such plan. An owner, director, or administrator who fails to notify the commission at least 30 days prior to the institution's closure, or who fails to organize the orderly closure of the institution and the trainout of the students, commits a misdemeanor of the second degree, punishable as provided in s. 775.082 or s. 775.083. If the commission finds that an institution has ceased operating without providing for the proper access to student records, the commission may require the institution to convey all student records to the commission office or to another location designated by the commission or its staff. The commission shall make copies of records available to bankruptcy trustees upon request and to the student or those designated by the student. Confidentiality of the records shall be maintained to the extent required by law. The commission may seek civil penalties not to exceed $10,000 from any owner, director, or administrator of an institution who knowingly destroys, abandons, or fails to convey or provide for the safekeeping of institutional and student records. The commission may use moneys in the Student Protection Fund to facilitate the retrieval or safekeeping of records from an institution that has closed. The commission may refer matters it deems appropriate to the Department of Legal Affairs or the state attorney for investigation and prosecution. The commission shall establish and administer a statewide, fee-supported financial program through which funds will be available to complete the training of a student who enrolls in a nonpublic school that terminates a program or ceases operation before the student has completed his or her program of study. The financial program is named the Student Protection Fund. The commission is authorized to assess a fee from the schools within its jurisdiction for such purpose. The commission shall assess a licensed school an additional fee for its eligibility for the Student Protection Fund. If a licensed school terminates a program before all students complete it, the commission shall also assess that school a fee adequate to pay the full cost to the Student Protection Fund of completing the training of students. The fund shall consist entirely of fees assessed to licensed schools and shall not be funded under any circumstances by public funds, nor shall the commission make payments or be obligated to make payments in excess of the assessments actually received from licensed schools and deposited in the Institutional Assessment Trust Fund to the credit of the Student Protection Fund. At each commission meeting, the commission shall consider the need for and shall make required assessments, shall review the collection status of unpaid assessments and take all necessary steps to collect them, and shall review all moneys in the fund and expenses incurred since the last reporting period. This review must include administrative expenses, moneys received, and payments made to students or to lending institutions. Staff of the commission must immediately inform the commission upon learning of the closing of a licensed school or the termination of a program that could expose the fund to liability. The Student Protection Fund must be actuarially sound, periodically audited by the Auditor General in connection with his or her audit of the Department of Education, and reviewed to determine if additional fees must be charged to schools eligible to participate in the fund. The commission may deny, place on probation, or revoke any provisional license, annual license, licence by means of accreditation, agent's license, or other authorization required by this chapter. The commission shall adopt rules for taking these actions. The commission may impose an administrative fine of not more than $5,000 if an institution is on probation for a period under conditions that require oversight by the commission or its staff. The fine shall be deposited into the Institutional Assessment Trust Fund. The commission may conduct an investigation to determine if an applicant for a new institutional license, or the owners, directors, or administrators of the institution, previously closed an institution, failed to arrange for completion of student training or issue appropriate refunds, or had its license to operate an institution revoked or denied in this state or in another state or jurisdiction. Any person who has been convicted of, or entered a plea of guilty or nolo contendere to, a crime that relates to the unlawful operation or management of an institution is ineligible to own, operate, manage, or be a registered agent for a licensed institution in this state, and may not be a director or an officer in a corporation that owns or operates a licensed institution. Such a person may not operate or serve in a management or supervisory position in a licensed institution. The commission may deny an application for any operating status if the commission determines that the applicant or its owners, officers, directors, or administrators were previously operating an institution in this state or in another state or jurisdiction in a manner contrary to the health, education, or welfare of the public. The commission may consider factors such as the previous denial or revocation of an institutional license; prior criminal or civil administrative proceedings regarding the operation and management of an institution; other types of criminal proceedings involving fraud, deceit, dishonesty, or moral turpitude; failure of the institution to be properly closed, including completing the training or providing for the trainout of its students; and failure to issue appropriate refunds. The commission may require an applicant or its owners, officers, directors, or administrators to provide the commission with information under oath regarding the prior operation of an institution and to provide criminal justice information, the cost of which must be borne by the applicant in addition to license fees. The commission may obtain an injunction or take any action it deems necessary against any institution or agent in violation of this chapter, but such proceedings and orders do not bar the imposition of any other penalties that may be imposed for the violation. The commission may conduct disciplinary proceedings through an investigation of any suspected violation of this chapter, including a finding of probable cause and making reports to any law enforcement agency or regulatory agency. The commission shall notify an institution or individual of the substance of any complaint that is under investigation unless the executive director and chairperson of the board concur that notification would impede the investigation. The commission may also withhold notification to a person under investigation for an act that constitutes a criminal offense. The determination of probable cause shall be made by a majority vote of the probable-cause panel, the membership of which shall be provided by rule. After the panel declares a finding of probable cause, the commission may issue an administrative complaint and prosecute such complaint under chapter 120. A privilege against civil liability is granted to any informant or any witness who provides information in good faith for an investigation or proceeding conducted under this section. The commission may issue a cease and desist order in conjunction with an administrative complaint or notice of denial of licensure, if necessary to protect the health, safety, or welfare of students, prospective students, or the public. An unlicensed institution that advertises or causes advertisements to be made public through which students are solicited for enrollment or are offered diplomas or degrees is in violation of this chapter. The commission shall adopt rules that direct the issuance of an injunction against operating, advertising, or offering diplomas or degrees without a license. Each day of operation after a cease and desist letter is delivered constitutes a separate violation for purposes of assessing fines or seeking civil penalties. A cease and desist order may be mandatory or prohibitory in form and may order a postsecondary institution to cease and desist from specified conduct or from failing to engage in specified conduct necessary to achieve the regulatory purposes of this chapter. A cease and desist order may include an order to cease enrollment of students whom the institution cannot adequately serve, to modify curricula or methods of instruction to ensure the education or training of the type and quality represented in the institutional catalog, or to cease from advertising or to publish or broadcast corrective or clarifying advertising to overcome the effects of previous allegedly deceptive or misleading advertising. cease and desist order takes effect immediately upon issuance and remains in effect until the commission takes final agency action. The commission shall adopt rules to direct procedures by which an affected party is entitled to a formal or informal review of a cease and desist order and may request the commission or the Division of Administrative Hearings to modify or abate a cease and desist order. If a party is aggrieved by a cease and desist order after seeking to have the order abated or modified, the party may seek interlocutory judicial review by the appropriate district court of appeal pursuant to the applicable rules of appellate procedure. In addition to or in lieu of any remedy provided in this section, the commission may seek the imposition of a civil penalty through the circuit court for any violation for which the commission may issue a notice to cease and desist under this section. Attempting to obtain action from the commission by fraudulent misrepresentation, bribery, or through an error of the commission. Action against a license or operation imposed under the authority of another state, territory, or country. Delegating professional responsibilities to a person who is not qualified by training, experience, or licensure to perform the responsibilities. False, deceptive, or misleading advertising. Conspiring to coerce, intimidate, or preclude another licensee from lawfully advertising his or her services. The commission is authorized to ensure that the administrators of licensed institutions are qualified to conduct the operations of their respective positions and to require such administrators and faculty to receive continuing education and training as adopted by rule of the commission. The positions for which the commission may review qualifications and require continuing education and training may include the positions of chief administrator or officer, director of education or training, placement director, admissions director, and financial aid director and faculty members. The training of each administrator and faculty member shall be the type of training necessary to assure compliance with statutes and rules of the commission and the State Board of Education and with those of other state or federal agencies in relation to the responsibilities of the respective positions. The commission shall adopt general qualifications for each of the respective positions and establish guidelines for the minimum amount and type of continuing education and training to be required. The continuing education and training may be provided by the commission, appropriate state or federal agencies, or professional organizations familiar with the requirements of the particular administrative positions. The actual curricula should be left to the discretion of those agencies and organizations. Evidence of the administrator's and faculty member's compliance with the continuing education and training requirements established by the commission may be included in the initial and renewal application forms provided by the commission. Actual records of the continuing education and training received by administrators and faculty shall be maintained at the institution and available for inspection at all times. Qualifications of administrators and faculty in their respective fields, as well as continuing education and training, may be established by the commission as a condition of an application for licensure by a new institution or for renewal of a license.